Can a new week be upon us already? 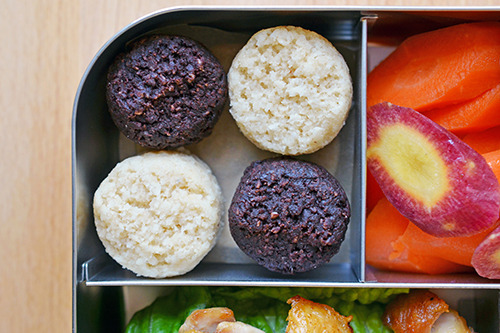 Well, turn that frown upside down: Part 4 of my Paleo Lunchboxes 2014 collaboration with LunchBots will chase away your Monday blahs and beat them into submission! After all, Cracklin’ Chicken is the real food answer to all your woes. I know it makes me feel better whenever I’m in a funk. Don’t tell me you haven’t made my Cracklin’ Chicken yet. 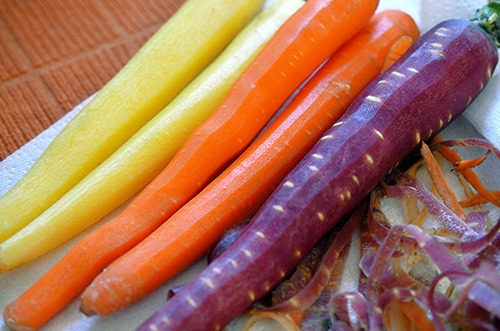 You really have no excuse—it’s ridiculously easy and totally tasty. Peep the recipe over here! 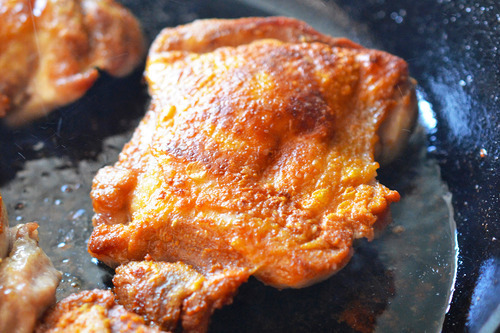 Cracklin’ Chicken tastes best right out of a cast iron skillet, but like all fried chicken, it tastes fantastic cold. 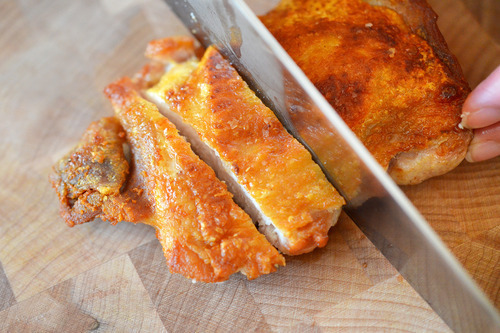 Believe me: I routinely crisp up extra thighs so that I can have extra to nibble on straight from the fridge. Not sure if your kids will eat cold chicken? Offer them a piece and see how they like it. It’ll be good news for you either way ’cause if they turn their noses up at it, more for you! 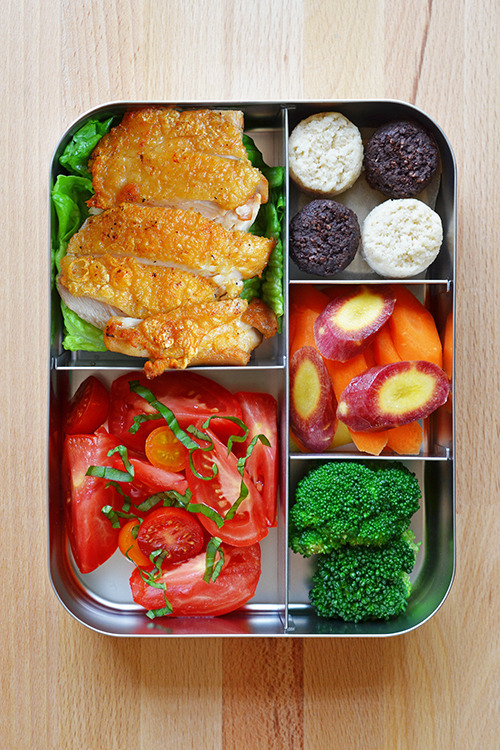 But believe it or not, no one can live on Cracklin’ Chicken alone, so I’m stuffing this packed lunch with tons of veggies and a sweet treat as well. 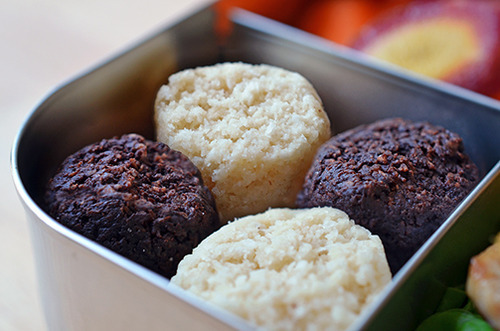 …and a few macaroons for dessert. 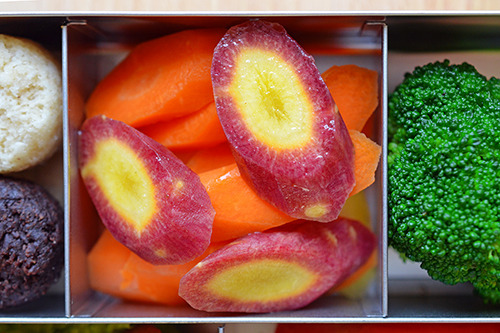 Sliced fruit (or applesauce) makes regular appearances in my kids’ lunches, but once in a while, I’ll include a gluten-free treat made with real food ingredients. Case in point: bite-sized Hail Merry Macaroons! 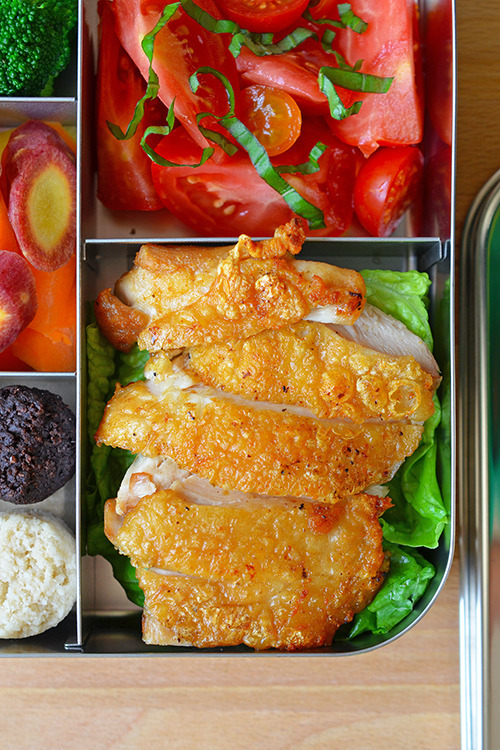 That’s it: chicken, fresh vegetables, and a little sweet treat for my sweethearts—all tucked into a shiny stainless steel Lunchbots container. 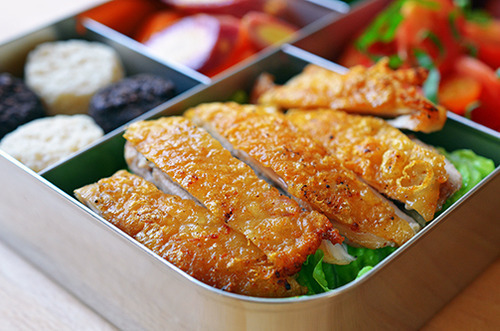 I have a feeling you won’t get too many complaints about this packed lunch, especially if you pack it for yourself. And if you do, let me know. I’ll come eat your lunch. 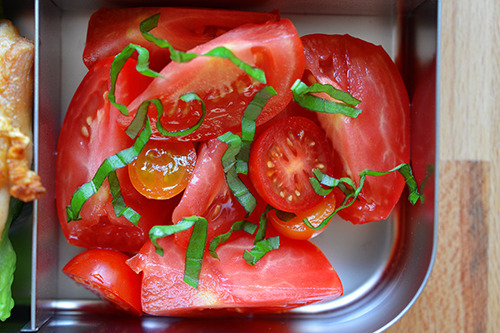 Remember to check out the first, second, and third packed lunches I posted last week. I’ll have the fifth one up shortly, so hold onto your hats! 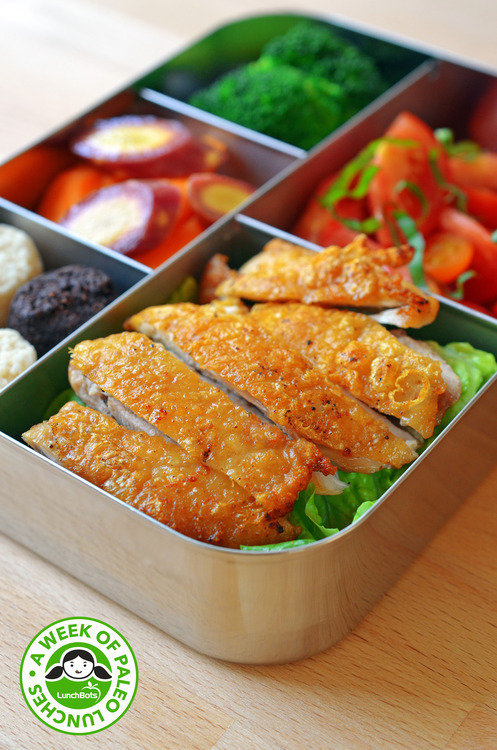 Check out my epic roundup of Paleo Packed Lunchboxes here!